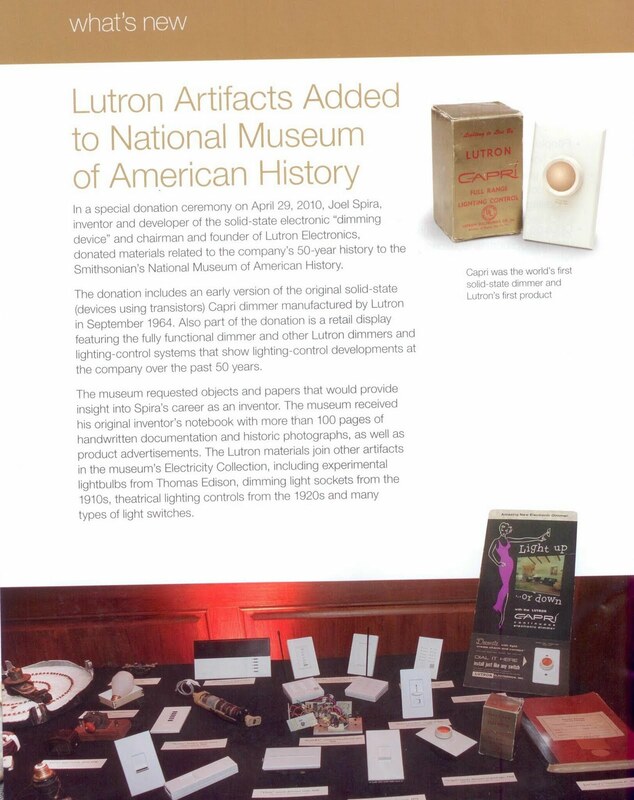 Lutron puts out this publication several times a year, and their Fall 2010 issue was chock full of info I wanted to share with our readers! 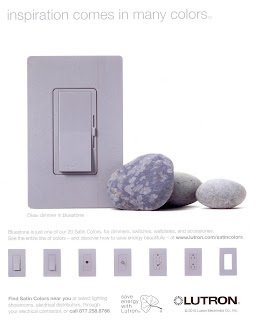 We love their "Satin Colors" dimmers, switches, and wall plates. We have take-home color samples here in the showrooms of all the colors available. 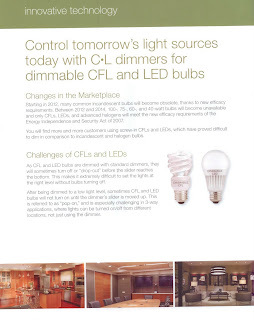 We just started stocking these new CFL / LED dimmers ~ they just arrived into our Chantilly warehouse today, as a matter of fact! 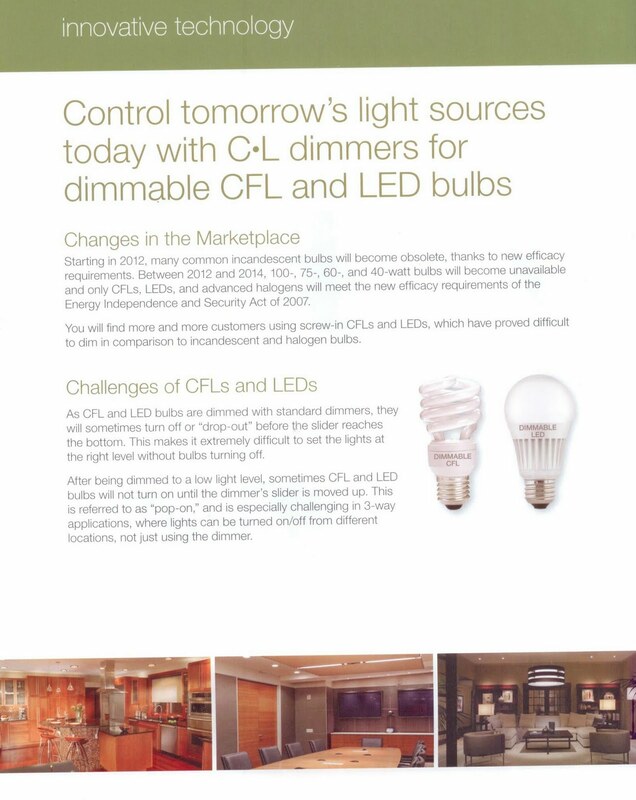 I'm dying to try one at home ~ I have dimmable CFL's in my bathrooms, and I must admit, they have NO bottom range of dimming! 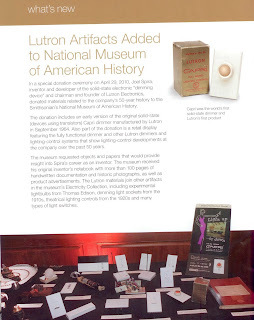 Can't wait to get my hands on one of these! I heard about this a couple of months ago, but forgot to mention it to you. 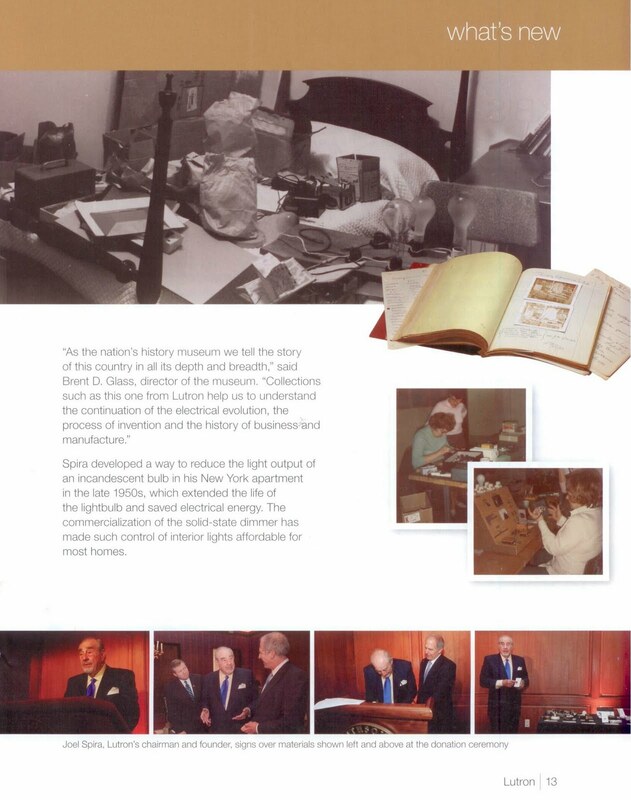 Isn't this neat, that Lutron is now in the Smithsonian?! And it's always good to have a reminder about how we can save energy with lighting controls. Remember that if you dim incandescent or halogen bulbs by 25%, you save 20% on electricity, plus you quadruple the life of those light bulbs! 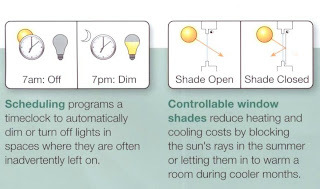 And don't forget about occupancy/vacancy sensors, timers, scheduling programs, and controllable window shades to add to your energy savings. 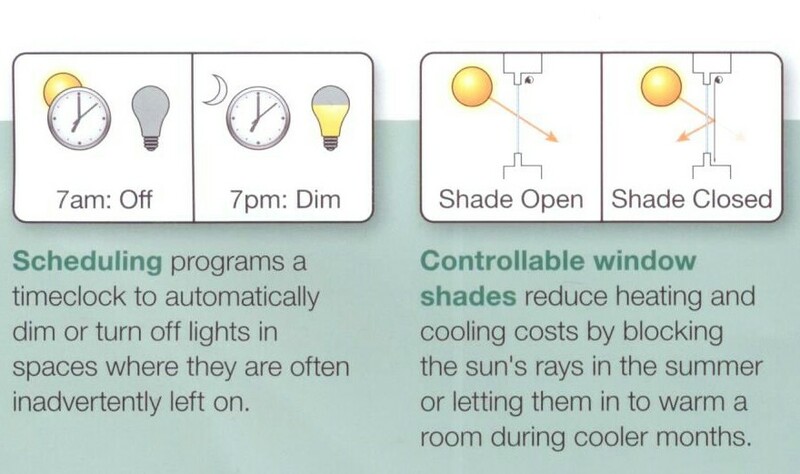 One last, great tip from this Lutron booklet is to remember to dim your outdoor lights. 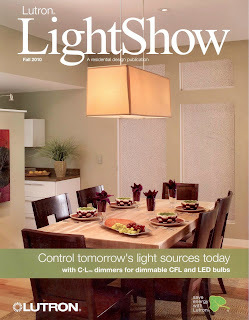 When the sun goes down and you have a high-wattage bulb in your exterior fixtures, they can be extremely glary, and you'll no longer be able to see the beauty of those fixtures, let alone see what you're trying to light! 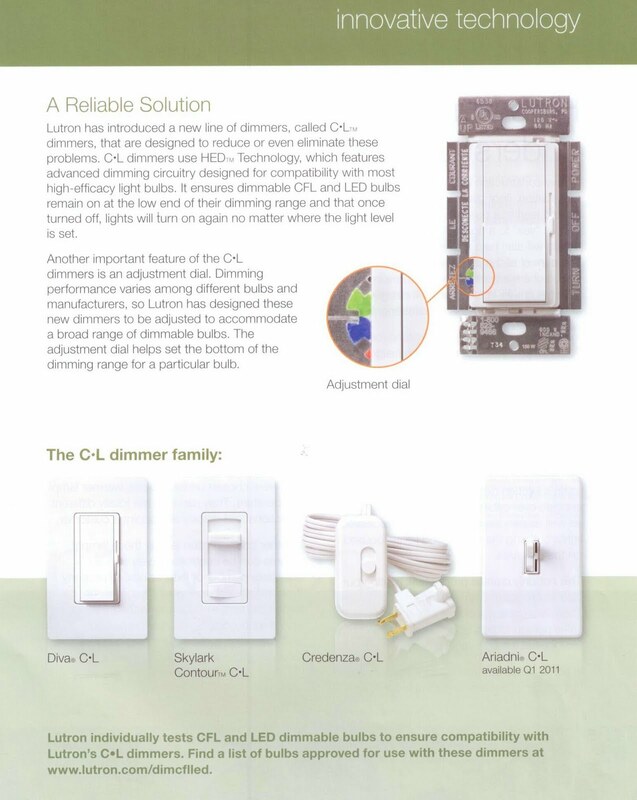 As they say, the dimmer will allow you to achieve the perfect balance between enough light to safely illuminate the space and not too much light that the fixture itself can't be seen. Great advice!